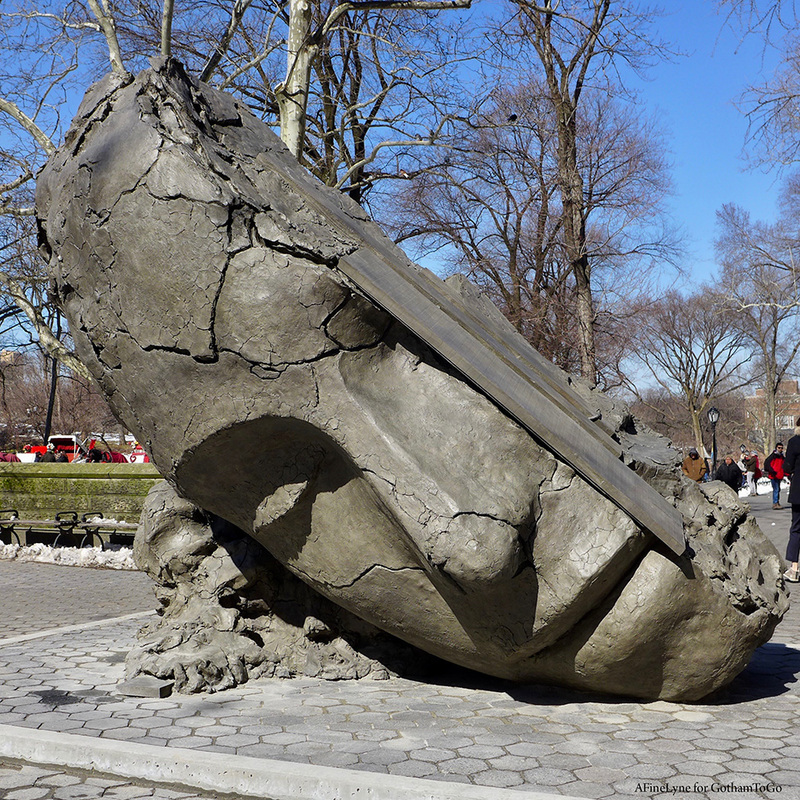 The Iranian-born, American sculpture artist, Siah Armajani is best known for his works of public art in bridges, gazebos, gardens, and reading rooms across the United States and Europe. 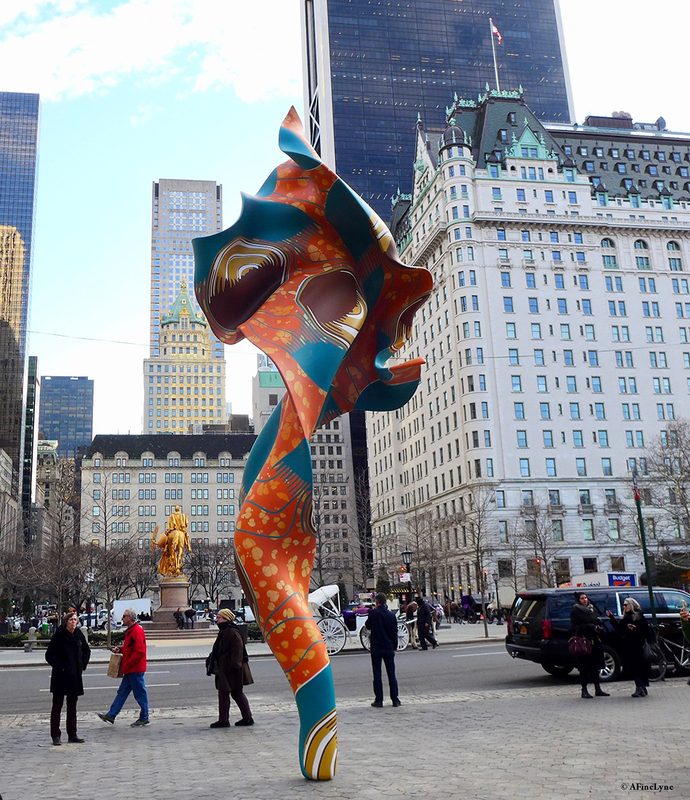 The artist has arrived in New York with a two-pronged installation and exhibition. 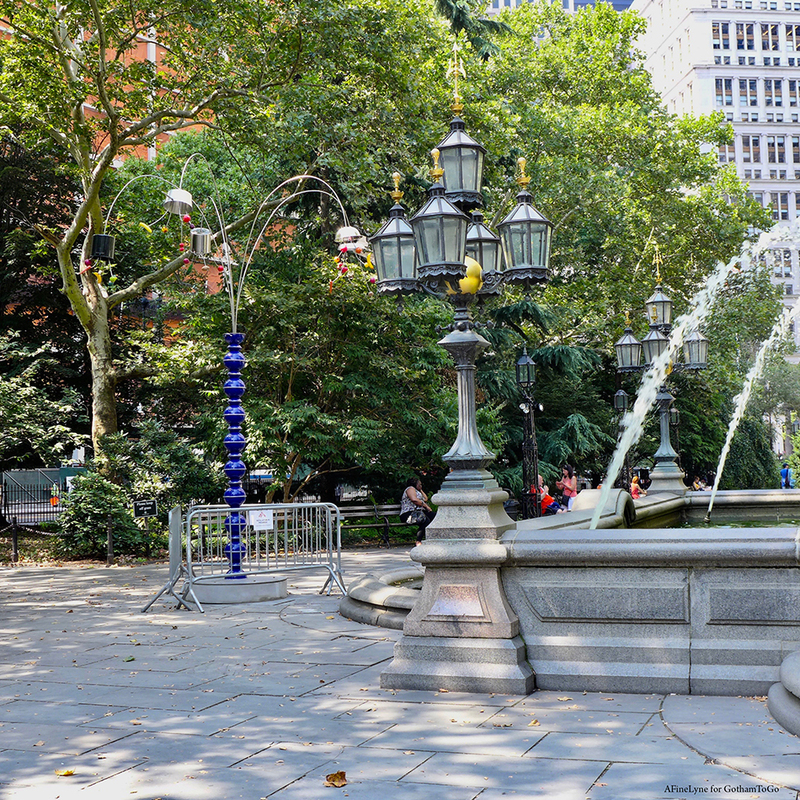 The outdoor component will be featured by The Public Art Fund in Brooklyn Bridge Park with the installation Bridge Over Tree (1970), which was first exhibited as a temporary installation at the Walker Art Center in Minneapolis nearly fifty years ago (1970). It consists of a 91-foot-long walkway with open, trussed sides and a shingled roof, with a set of stairs at the midpoint that climb and descend over a small evergreen tree. 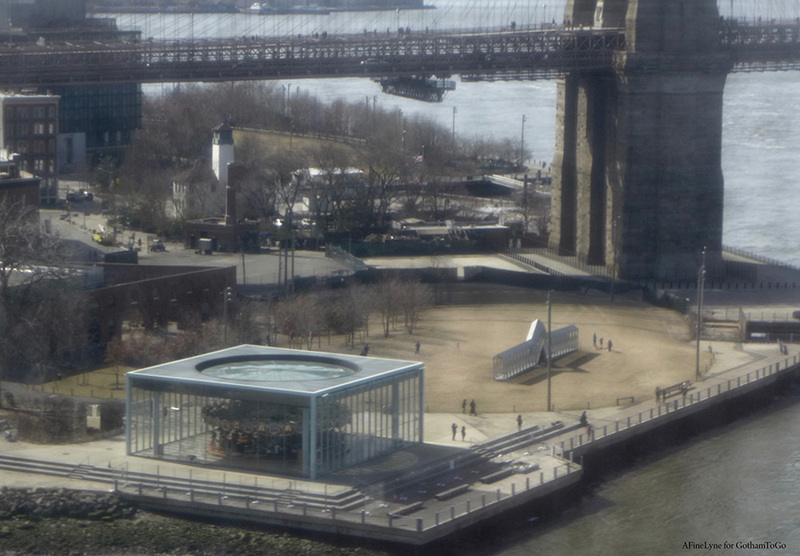 The installation is located on the Empire Fulton Ferry Lawn at Brooklyn Bridge Park between the Manhattan and Brooklyn Bridges. Siah Armajani: Bridge Over Tree is curated by The Public Art Fund Director and Chief Curator Nicholas Baume. The original concept and installation by Armajani was created as an outdoor, site-specific piece for the Walker Art Center’s 9 Artists/9 Spaces exhibition. Coinciding with The Public Art Fund installation, Siah Armajani: Follow This Line is on view at The Met Breuer. Featuring nearly one hundred works made over the past 60 years, Siah Armajani: Follow This Line is the first major U.S. retrospective of the preeminent Iranian-American artist Siah Armajani (b. 1939). Here, we explore both the indoor and outdoor components, beginning at Met Breuer, and moving to Brooklyn Bridge Park with the MET and the Public Art Fund. 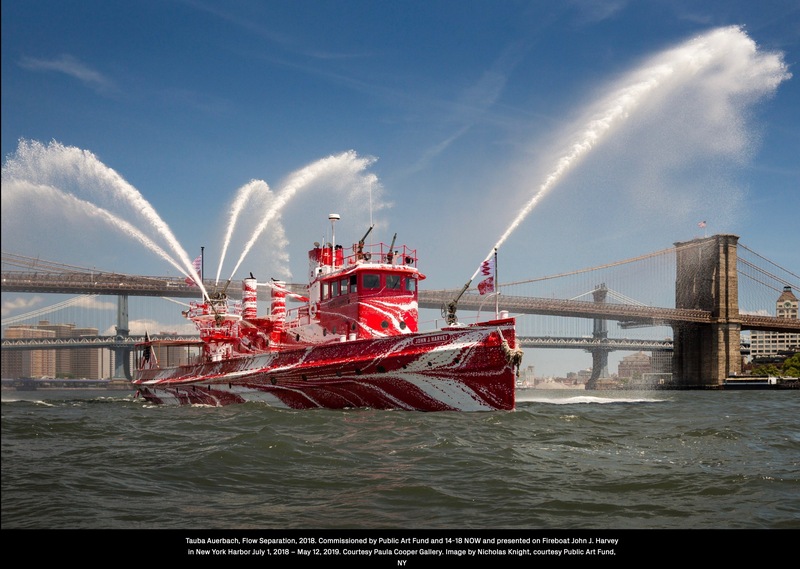 Public Art Fund Brings a Hot Dog Bus to DUMBO! 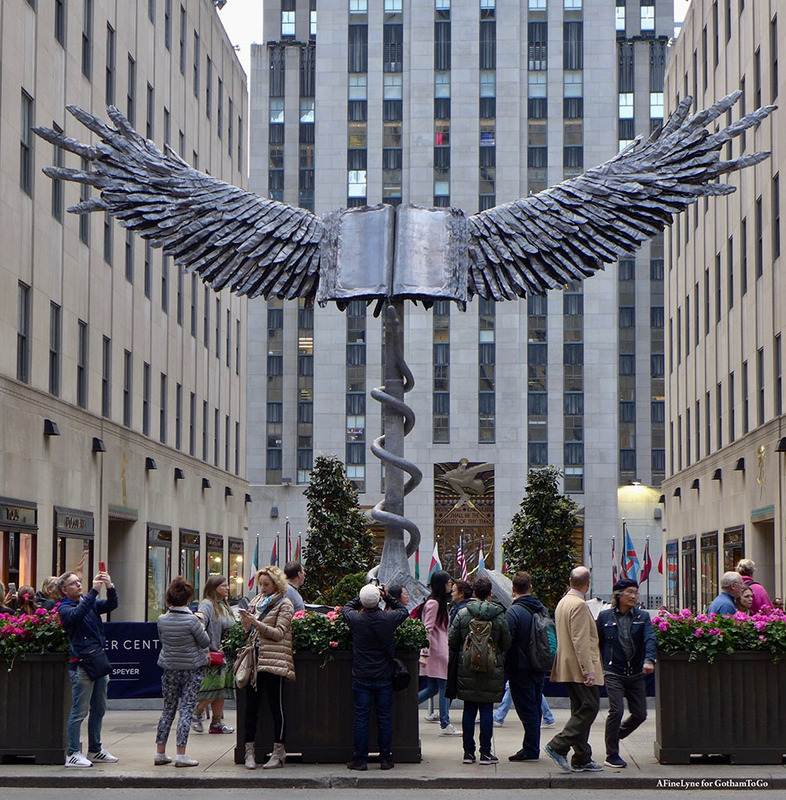 We can’t wait for Public Art Fund’s next ~ Installation. 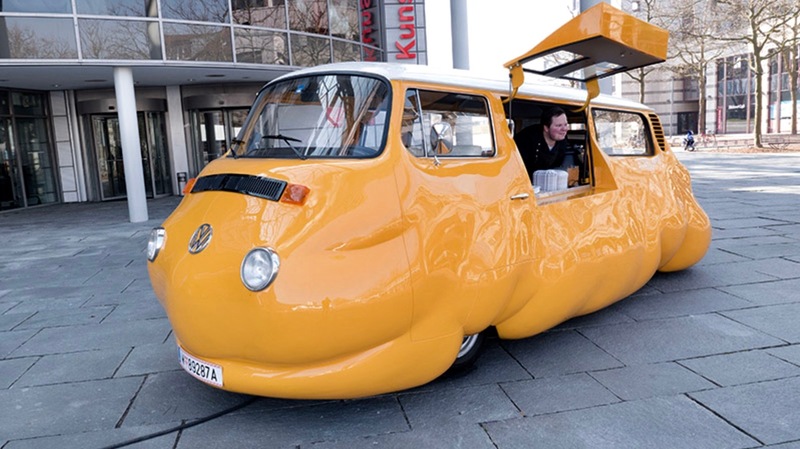 Erwin Wurm: Hot Dog Bus will pull into Brooklyn Bridge Park on June 9th!